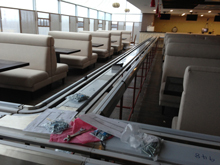 Any frame of our express conveyor is made of durable stainless steel (SUS304 food grade stainless steel). 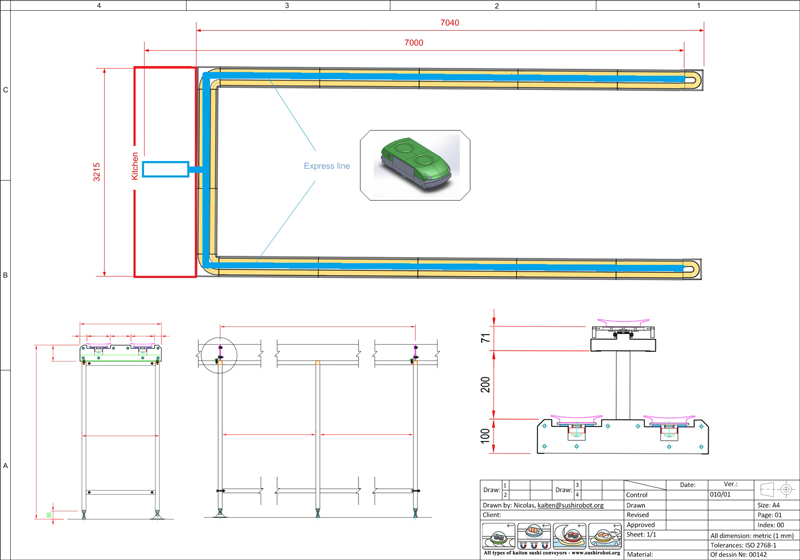 All materials have been approved for direct contact with foodstuff and are resistant to nonaggressive detergents. 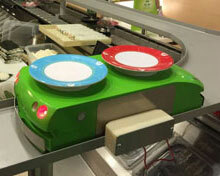 The express line is designed for delivery of dishes that are not on the main conveyor belt, directly to the client. 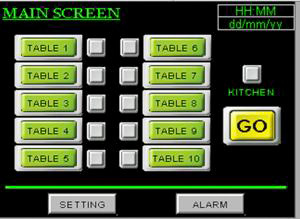 Thus, waiters are required only in absence of the system of remote ordering. 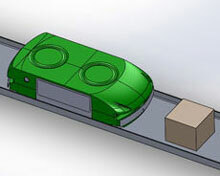 The express line can be designed in the form of a car or a platform on which are usually placed 1-2 plates. 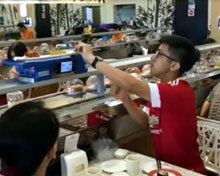 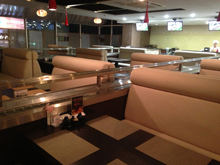 Express kaiten sushi conveyor is nearly always installed as an addition to classic kaiten conveyor. 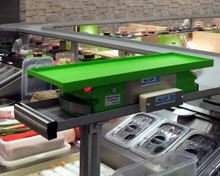 The most popular and modern type of express line is the autonomous module for delivery of dishes. Less popular are old type of lines where the platform is moved by the built-in chain. 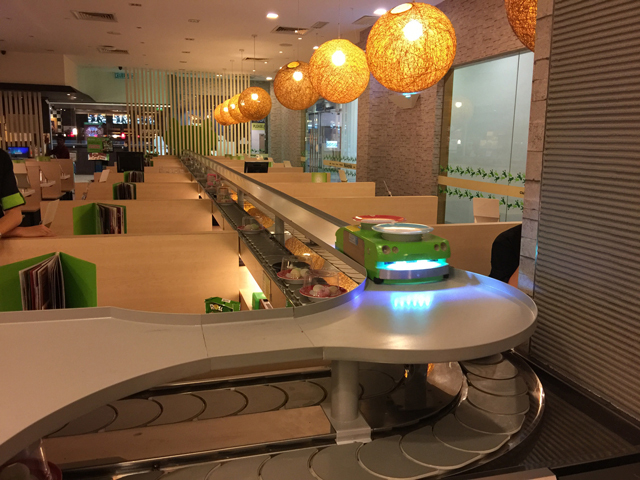 The system with autonomous module of delivery is the most modern and popular system of kaiten express delivery. 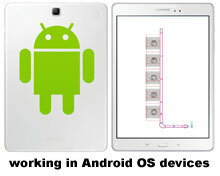 Control is compatible with Android mobile operating system; it allows a user to control the operation from a tablet or phone. 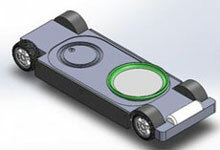 If on the way of the module there is an obstacle — the built-in sensors will stop module in 4-5 cm. 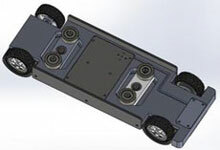 If the obstacle is lower than the level of sensors or very small — any pressure against the bumper makes the module stop immediately. 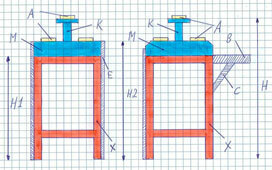 Payload — up to 5 kg. 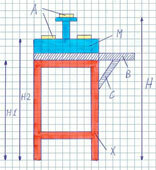 Empty weight — 8 kg. 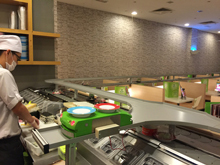 The older design of express kaiten line is made as the platform or small car moves on the guide bar with the built-in chain. 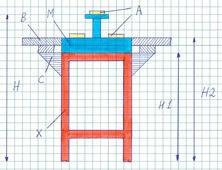 This design imposes some restrictions for radii of turn and total length. 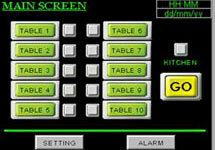 Control of the unit is done via a touchscreen. 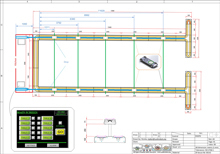 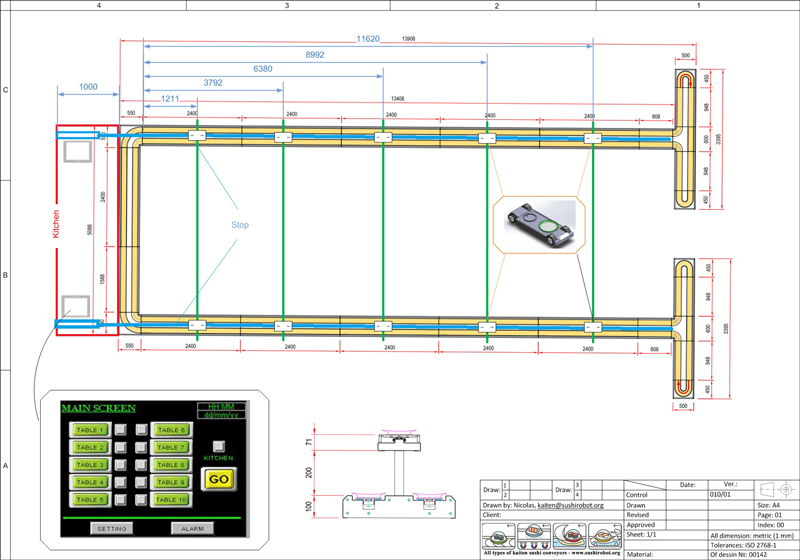 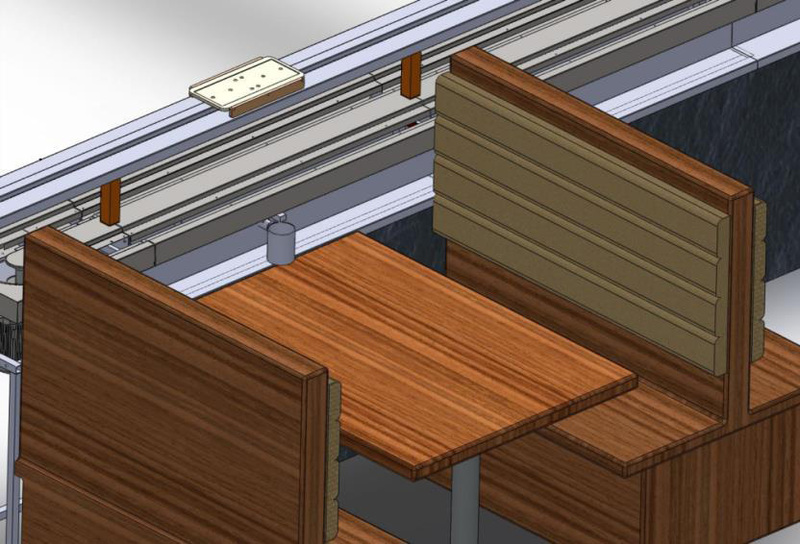 When installing express kaiten conveyor, we include settings regarding the layout of the tables — the platform or vehicle stops after having passed the given distance (the user can independently change parameters). 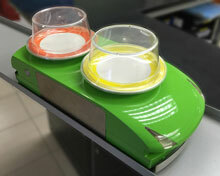 The mobile platform is equipped with a light indicator to give visual signal, which is powered by three AA batteries.